The gospel is not just for the moment of salvation. We need the gospel for every moment of our lives. Paul doesn’t say “I was the foremost,” he says “I am the foremost.” He continues to sin and so do we. So we must continue to preach the gospel to ourselves. The gospel message is not one of condemnation, but of hope. Those who cannot see themselves as sinners have no need of a Savior. But those who have felt the weight of their own sin and been met there with the grace and forgiveness offered through Christ know true joy. And we remind ourselves we have to remain in Him to continue to find that grace, forgiveness, and joy. 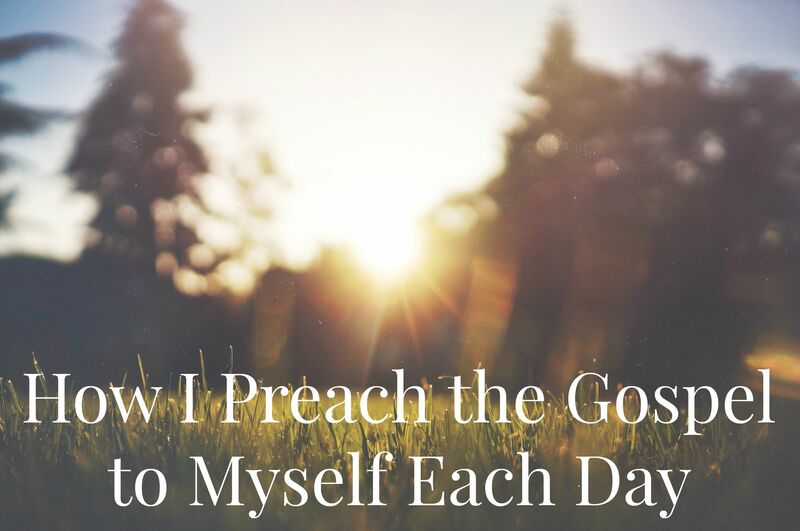 To remember, we preach the gospel to ourselves each day. This is how I preach the gospel to myself each day. I am a great sinner in need of a great Savior. In his suffering Job cried out, “There is no arbiter between us, who might lay his hand on us both” (9:33) but we have that arbiter. And we can sing with generations of believers, “I need Thee, oh, I need Thee; Every hour I need Thee; Oh, bless me now, my Savior, I come to Thee” (lyrics by Annie S. Hawks, 1872).